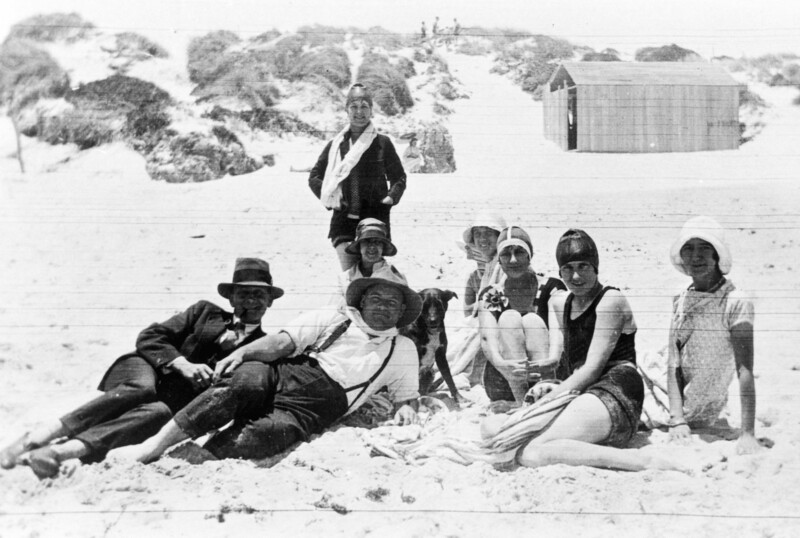 By the end of the 1930s, Scarborough Beach had become a popular seaside due largely to the Perth Road Board’s investment in infrastructure. The Scarboro Surf Club regularly patrolled the beaches ensuring the safety of swimmers, the beach wall ensured a long stretch of white sand and the newly bitumenised Promenade housed a number of shops including tea rooms and ice cream shops to feed the masses. Newspaper articles found in Trove reproduced courtesy of the National Library of Australia. This entry was posted in and tagged 1930s, beach, beach resort, Bondi, Chronicle Scarborough, Daily News, Ocean, Perth road board, resort, sandcastle, Scarboro Surf Life Club, Stan, Stan Bessen, summer, swimming, The esplanade, The Promenade by Chronicles Scarborough. Bookmark the permalink.